Some in China believe that the tentative deal between the Vatican and Beijing has given the CCP more license to go after the underground Catholic churches and force them to join the state-sanctioned ones, and thus, give credibility to the state churches. 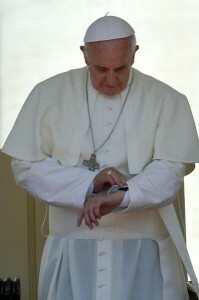 As Bitter Winter reported earlier, after the deal with the Vatican was signed, numerous underground Catholic churches have been closed down, were harassed, or had religious symbols removed from their premises across China; some Catholic priests have been arrested as well. Go here to read the rest. Christ is placed on the Cross again in China, and our Pope lifts not a finger to do anything about it, but instead aids those carrying out this new Crucifixion. The brave Catholics of the Underground Church in China deserved far better than to live in this kidney stone of a Pontificate, with a Pope seeming to emulate Judas far more than Peter. I’ve been linking to them almost daily on BigPulpit.com for their unprecedented coverage of the ruthless communist suppression of all faiths, especially Christians.